Children’s provides extensive nursing resources and opportunities for ongoing development and education. 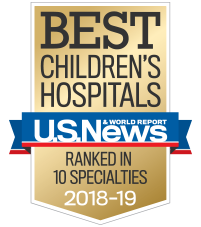 At Children’s, we teach you everything you need to know about being a pediatric nurse and we welcome a variety of backgrounds and experiences. Working with children is energizing and the environment of our children's hospital is stimulating. Nurses who have transitioned from adult care comment on the abundance of resources at Children’s that help our nurses focus on the patient and family. From dedicated unit specific educators, child life specialists, chaplains, social work and even therapy dogs, we are dedicated to ensuring your success. Additionally, our nurse-to-patient ratios ensure you have the necessary time to provide safe and effective care to our patients. Following New Employee Orientation (NEO), new clinical employees attend Patient Care Provider Orientation (PCPO), a two-day, blended orientation of classroom learning, hands-on clinical skills and computer-based learning. PCPO is designed to orient new clinical employees to the Children’s relationship-based care philosophy and initial pediatric competencies, policies and practices. PCPO prepares new clinical employees for their subsequent unit-based clinical orientation with an experienced preceptor. Patient safety is the underlying theme of the entire orientation program. By offering this training before clinical employees ever touch our patients, we are equipping them with the tools they need to provide safe and effective care from day one. Each unit has a department-based educator who will customize orientation based on the individual. The length of orientation can vary depending on the area and previous nursing experience. PEDS 101 is designed specifically to provide a “refresh of pediatric concepts” to experienced healthcare professionals joining the Children’s team who are new to caring for pediatric patients. Content includes growth and development, pediatric physical assessment, family-centered care, communication essentials and patient and family education. PEDS 102 focuses on integrating healthcare professionals into the organizational culture and unit teams, including content on personal temperaments, team communication, healthy work environments, mentoring, and professional boundaries. PEDS 103 is a high-fidelity simulation intended for nurses that focuses on safe medication and blood product administration. PEDS 104 focuses on the professional development of the experienced professional, including an introduction to our career advancement programs, shared leadership structure, goal setting, moral courage, and personal resiliency. The Children’s My Nursing Career Path program offers direct patient care nurses a variety of development opportunities and allows nurses to build a customized career portfolio based on their interests. The purpose of the program is to promote career development and raise the bar of professional excellence among clinical nurses, while also providing recognition and advancement opportunities. The program outlines flexible criteria for demonstration of excellence within four domains of professional nursing practice at Children’s: Practice, Engagement, Development and Outcomes. Clinical nurses can earn points by documenting their roles and/or specific projects. The program provides suggested learning activities for clinical nurses who wish to further explore related development opportunities. In an effort to support our commitment to lifelong learning, nursing certification review courses are also offered annually in an effort to expand clinical knowledge and professional growth opportunities for nurses. Through our partnership with the American Nurses Credentialing Center and the Pediatric Nursing Certification Board, Children’s nurses are provided the opportunity to sit for certification exams at no cost to them. The Clinical Mentoring Program is a structured post-orientation program where, through a unit-based assignment, a mentor-mentee dyad is paired for an established amount of time to meet specific needs. It is a framework for the passage of wisdom, caring and confidence between new and experienced staff. Developing supportive and encouraging relationships. Guiding new hires in their professional, personal and interpersonal growth. Communicating information concerning expectations, learning opportunities and stressors. Promoting optimal engagement and integration of the new hire into the Children’s culture. The program consists of a structured 12-month mentoring plan of activities and objectives, guidelines for success and tools for the mentor and mentee. Using the six mentoring principles, mentoring behaviors utilize an evidence-based practice (EBP) approach toward fostering a mentoring culture. To effectively implement this program, unit-level mentoring champions are utilized throughout the organization to assist with support of mentors, linking of mentors and mentees, and maintaining the evidence-based integrity of the program. Children’s offers an array of flexible scheduling options for experienced nurses. We value our nurses and seek to provide creative options that support you. From our in-house PRN float pool offering premium pay similar to travel nursing, to our seasonal staffing contracts, and weekend staffing programs, Children’s has the right program to support your busy life. For more information, contact the Children's clinical recruitment team. New graduate job openings are typically posted a few months prior to graduation dates. Be sure to get your application in early to be considered. Nurse residency cohorts start on predetermined new graduate hire dates (typically June or July for May grads and February or March for December grads.) Nurses start the Pediatric Nurse Residency Program after being hired onto specific nursing units. In order to be considered for the residency program, you only need to apply to the Pediatric Nurse Residency Program position. You do not need to apply to each unit you are interested in. You will have an opportunity to express your units of interest in the program application. If selected to interview and move forward in the application process, applicants will conduct a digital interview, initial phone screen with a recruiter, face-to-face department interviews and a unit shadow. The Nurse Extern Program is a paid eight-week summer employment opportunity for rising senior nursing students interested in pursuing a career in pediatrics. Using actual experience, nursing students function in the role of a patient care technician to acquire valuable knowledge of the highly specialized pediatric environment, establish valuable interpersonal relationships and make decisions regarding sub-specialty practice. Externs are hired in a variety of units, including critical care, cardiac units, emergency department, hematology/oncology, medical/surgical units, comprehensive inpatient rehab unit and transplant inpatient units. After the program, there is an opportunity to transition into a patient care technician position based on interest and availability. Must be enrolled in an accredited school of nursing; a Bachelor of Science in nursing is strongly preferred. Must have a minimum GPA of 3.0 or higher. Must have completed two clinical rotations by the start of the extern schedule. Must be able to work full time, day or night schedule, with weekend requirements. Must commit to the entire eight-week program. Applications will be accepted online Dec. 1-31. You can find the extern job posting on our careers website under the Nursing Jobs tab.